ACR has a class for your vintage motocross bike. We have classes for Pre-75 bikes all the way through to our Vintages 90's class! Some are divided up by skill, some by age, and some by era. Check out the classes below for full descriptions. 2-Stroke ONLY 125 - Open cc machines through current model year. To ride this class riders DO NOT need to be entered in one or more ACR VINTAGE classes. This class does not split up ability levels. Any 100cc 2 stroke or 125cc 4 stroke machine that is air cooled, has drum brakes and has non-linkage suspension. 1982-1983 Yamaha YZ 100 is allowed in this class. Period modifications only. This class does not split up ability levels. Any 1970 or earlier 100cc 2 stroke or 125cc 4 stroke machine and LIKE DESIGN. This class does not split up ability levels..
Any 1974 or earlier 125cc 2 stroke or 250cc 4 stroke machine. This class has ability levels A, B, and C.
Any 1974 or earlier 250cc machine. This class has ability levels A, B, and C.
Any 1974 or earlier 251 - Open cc machine. This class has ability levels A, B, and C.
Any age rider on any 1974 or earlier machine of any size. This class does not split up ability levels. Riders 50 years and older on any size machine that was originally equiped with front and rear drum brakes. This class does not split up ability levels. Riders 30 years and older on any Vintage 80's machine - see description below of Vintage 80's class. This class does not split up ability levels. Any machine 1975 - 1977 and like design. This class has ability levels A, B, and C.
0 - 200cc air cooled, drum brake and non-linkage suspension. This class has ability levels A, B, and C.
201 - Open cc air cooled, drum brake and non-linkage suspension. This class has ability levels A, B, and C.
1974 and earlier 125cc displacement machines only. Evolution 125cc displacement machines only. Vintage 80's 125cc displacement machines only. 1990 and newer 125cc displacement machines only. 251-Open cc displacement machines only. 0-200cc machines only. Machines 1980 - 1989, period modifications allowed, like design rule does not apply. This class has ability levels A, B, and C.
201-Open cc machines only. Machines 1980 - 1989, period modifications allowed, like design rule does not apply. This class has ability levels A, B, and C.
All bikes made from 1990 - 1999. All period modifications are allowed. As in the Vintage Eighties Class, like-design machines are not allowed, just 1990-1999 machines. This class has ability levels A, B, and C. .
125 - Open cc machines through current model year. To ride this class riders must also be entered in one or more ACR VINTAGE classes. This class has ability levels A, B, and C. . Non racebikes only. Air-cooled, 4-stroke 150cc max. No big-bore kits. Max wheel size of 19" front and 16" rear. No custom frames, inverted forks, rear discs, etc. This class does not split ability levels. .
0-99 cc two stroke, 0-150 cc four stroke, no full size wheels (18" & 21"). This class does not split ability levels. Maximum age for Youth class is 16. .
For all domestic & imported minibikes with a maximum wheel size of 16". Engine size limit will be 100cc for 2-strokes & OHV 4-strokes. No limits for flathead motors. Suspension travel will be limited to 4" front & 3" rear. This class does not split ability levels. . Participants can ride any 85 cc and up machine. This class does not split ability levels. .
For non-racers with no race experience and modest riding ability. A fun class for spouses & little ones riding small playbikes and pitbikes from 50 - 125cc with no full-size wheels. Race bikes are not allowed. Minimum age is 8. No maximum age limit. Get your family involved! . 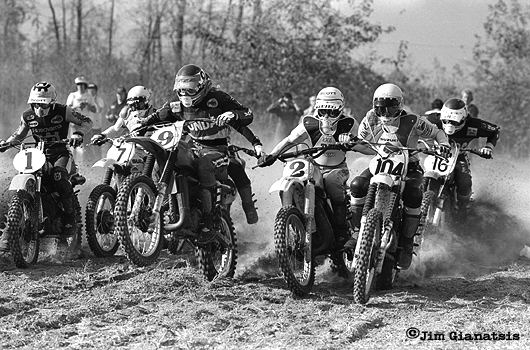 ACR has always been focused on the fun factor of Vintage Motocross racing. As such, the rules are few. ACR has a family atmosphere and everyone expects that you conduct yourself in a manner that would make your mother proud. 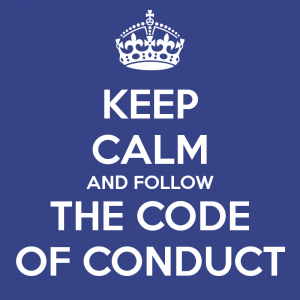 Below is the short list of rules. The ACR team is always open to suggestions and feeback. 1. The minimum age for all classes is 16 years except for the Greenhorn Class and the Youth Mini (8 & up). This may vary due to individual state laws so check before you haul! 2. All Pre-75 machines must have no more than 7 inches of front wheel travel and 4 inches of rear wheel travel. 3. Please note for the age classes that ACR considers you eligible for a class if you turn the minimum age for the class in the calendar year that the series is run. For example, you wish to run the 50+ class in 2016 - as long as you turn 50 by December 31st, 2016, your are eligible! 4. Pick a number and stick with it for the entire season. 5. Use the SAME number for all of your classes. 6. If the results are wrong at the track, get them fixed at the track. Make sure they are fixed before you leave. Don't email or tell the points guy 3 races later that you were scored wrong. 6. To qualify for individual year end awards you must participate in a minimum of 5 events in the same class. What skill level should I sign up for? •ACR believes in the honor system. You know how fast you are. 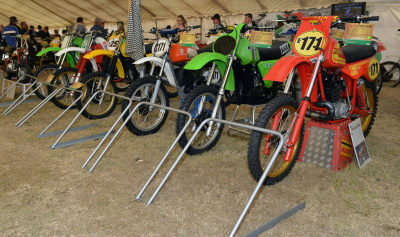 If you are an expert on your modern bike and are getting into vintage motocross, then you should sign up for the expert class for vintage racing as well. If you were a novice level rider when you hung up your boots 20 years ago, sign up for the novice class. If you blow everybody away in the skill level you signed up for, move up. Sandbagging is just poor form. New for 2016 - 2-Stroke ONLY Class!